I enjoy collections and anthologies but with so many available these days, it takes something special for a new publication to rise above the herd and Lucia has achieved that. By cleverly intertwining the individual stories with the thread of the tale of a traveling salesman, he effectively creates a story within a story which ends with a twist I did not see coming. Johnny is a sales rep, disillusioned with his life, despairing of his future, ready to turn his .38 on himself; however, before he can commit this act, he finds himself browsing the shelves of Handy’s Pawn & Thrift in the town of Clifton Heights. This shop gives you what you need – although this might not necessarily be what you want. Each item he handles – a tape player, an old Magic Eight Ball, a phone, a word processor – takes him away to other lives, all featuring characters who are trapped in one way or another. A ghost haunts his old den in The Office, the nightmare of being trapped in rooms and hallways continues in Out of Field Theory, Scavenging and A Place for Broken and Discarded Things. In each, the main character has to face up to, or accept certain truths, much as the character of Johnny is forced to do, each tale taking him nearer to his own truth. Johnny too is trapped, he is locked mentally into his own depression and physically in the store, with no apparent escape from either. The shopkeeper has disappeared and, between the tales, he finds himself facing never-ending corridors and suddenly-appearing trapdoors, all the while feeling an increasing desire to kill himself. This parallels the stories he reads or hears, an overarching theme which makes sense when you read Almost Home, the tale of Johnny himself, and which delivers an unexpected, and wonderfully conceived, twist. This is Death of a Salesman written for the horror market. The stories are flawless and original, avoiding the usual, hackneyed tropes, with no weak links between them. A thoroughly enjoyable read for the longer autumnal nights. The first p age of a fiction collection is an introduction to a writer’s mind. The further you go, the deeper you delve into their psyche. In this manner, you can reach any world of their invention and join any journey they imagine. Ray Bradbury and Somerset Maugham were masters of short fiction. If you were to combine the work of these authors with a dash of Rod Serling, you’d have Varying Distances by Darren Speegle. Speegle’s stories range from the bizarre to the fantastic. He is well traveled and the stories reflect several cultures, both in setting and flavor. The first forays into his collection seem to begin with his unconscious mind and slowly work forward to the conscious. It’s much like a sleeper awakening from a dream. The first story in the collection, “In the Distance, a Familiar Sound,” is as poetic and disjointed as the character searching for the meaning of consciousness. Linear time doesn’t exist. Each story gains clarity as you move through the pages. Against his will, a painter is commissioned to capture the soul of his subject on canvas, contractors in Iraq encounter a strange and menacing vehicle, Halloween is explored through the eyes of a god-like being, a hitman has trouble discerning between human and machine, a man finds he cannot escape the horror of his past or the people who populate it, an addict sees parallels to his life no matter what country he visits, a woman leads a man to Germany and a haunted house, a man searches for the beast which murdered his aunt, and a confused taxi driver must take a man to his destination. My favorite story, “For Love of War,” falls in between the fog and clarity. The contractor in the story falls in love with the woman who saves him and discovers she’s more ethereal than mortal. Speegle’s prose borders on lyrical and you can easily imagine this story as a ballad. If you’re a lover of the bizarre, you’ll love this collection. Step inside Speegle’s mind and stay a while. The worlds within are amazing. 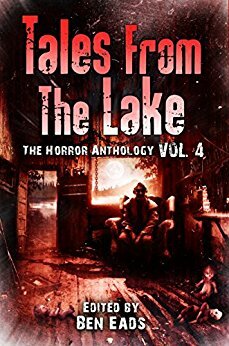 This anthology begins with Joe R. Lansdale’sThe Folding Man, one of his darkest stories ever written. Kealan Patrick Burke’sGo Warily After Dark pulls us into a desolated world, and reminds us of the price of survival: a guilt that seeps into the marrow. Damien Angelica Walter’sEverything Hurts, Until it Doesn’t places us in the middle of a family whose secrets and traditions are thicker than blood. 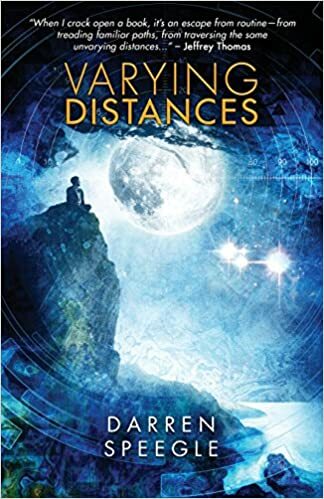 Jennifer Loring’sWhen the Dead Come Home explores a loss so dark, that even the stars are sucked into its melancholic vacuum. As a writer gradually developing her craft I am always open to hearing and reading the views of those at the top of their game, those who have ‘made it’. Like most, I think we approach such articles in the hope that we’ll discover the magic ingredient, the key that turns a novel in the drawer into a published piece of work. I didn’t get that from this book, nor is it something I discovered from my go-to motivational source, On Writing by Stephen King, who also appears in this particular publication. What I found, which was equally valuable, was the same story from all contributors—whether they be a filmmaker, author, poet, director, publisher or editor—the rule of three: read, write and finish what you start. No exceptions. I learned from Ramsay Campbell that you don’t need different notebooks from different projects, he—like me—makes notes on one thing, goes on to another, then returns to that first project … in the same notebook! I learned that daily word counts don’t always matter—unless you’re trying out for that annual marathon, NaNoWriMo. I learned that you should write for yourself. I mean, if you don’t enjoy it, why bother? In truth, and in my heart-of-hearts, these horror giants were merely stating what most of us already know, the only rule is that rule of three. Whilst the book was geared towards those who write in the horror genre, much of what was said can be applied to writers across the whole range of fiction and even non-fiction. And when it comes to nightmares—everybody is different but the contributors reinforce the idea of developing horror from the everyday and mundane, from the what ifs? There doesn’t have to be blood and gore, it can be subtle, darker and slow-building—again, another reassurance as that is the style of horror I prefer. So what did I take away from all this? A lot of reassurance and a reading list … oh, and the determination to keep on writing. And now I’m off to read Patricia Highsmith’s The Snail-Watcher. To sit and think on what everyone in this contest had to do to stay in it just boggles my mind. I can’t imagine doing it myself but this little group of writers really showed us what they were made of. The contest began with almost 120 entries and we eventually saw the field get narrowed down to just few. Along the way our writers had to produce an audio drama, a commercial, short stories, non fiction blog posts, create a monster, an intro to an original character and finally the beginning of a novel. Through the course of this contest we’ve seen all of these writers grow and improve their skills and get tested like never before. I’ve really enjoyed the journey of these writers throughout this season of the podcast and it makes me sad to see just one winner. I think everyone in the contest should consider themselves a winner and be proud of what they have accomplished. Even if you get rid of all the other parts of the contest and just look at the fact that these writers have gotten to the point where they have submitted the first three chapters of their book is a big deal. A lot of work goes into writing a novel, the planning, the outlining, the rewrites and finally the finished product. Some people spend years working on a novel and in my opinion its the most personal art form there is. Writers have to put their heart and soul into their novels and sending it to a publisher takes a lot of guts. It’s not easy becoming a published author, there is a lot of work involved in the process and when you do get published a whole new set of challenges await you. A writer’s work is never done and the ones that keep doing it are the ones that consider it their passion. So Addicts, what did you think of the contest as a whole? Who did you think did the best job on this challenge? what do you thing the hardest part of doing a query and a cover letter are? Have you done one? What are the experiences you’ve had? Let us know in the comments.